2012 was an incredible year for film in which I watched over 90 movies. This then represents the very crème de la crème of what I saw. Click the titles for the full review. *Addendum (January 8th 2013) – My Top 10 was originally posted on December 31, 2012. Within one week I saw two movies that, while technically 2012, didn’t get a wide release until 2013. Zero Dark Thirty would’ve made my Top 10 and Rust and Bone would’ve been an honorable mention. Since my list was already published, it remains the same, however I feel I would be remiss if I failed to acknowledge these two exceptional films which I have now included. One of the most poignant dramas concerning high school life since the golden era of John Hughes. But Perks goes much deeper. It’s less humorous and more warmly accessible. The story is involving because it seems timeless – not of any particular time or place but of an experience and that experience is high school. Though fashions and music may change, the attitudes remain familiar. Insecurities are laid bare and exposed in a way that is both believable and at times heartbreaking. 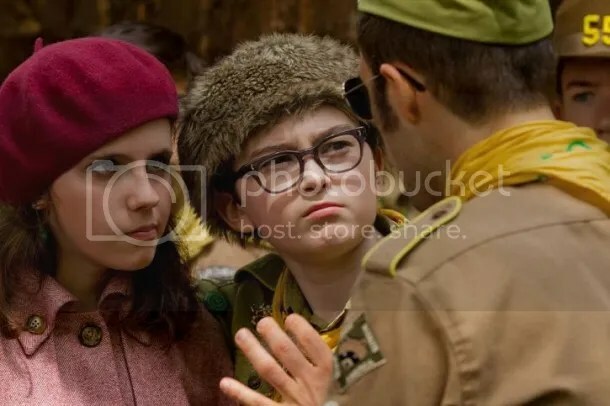 Moonrise Kingdom wisely celebrates what it means to be a child again. There’s an exciting mix of unabashed nostalgia, but without any hint of mawkishness. He strikes a precise balance that both romanticizes the impetuousness of youth, but with some delightfully caustic bite thrown in. What makes Headhunters so ridiculously engaging is how the narrative develops in a way that you cannot guess the outcome. That’s precisely the fun. Like classic suspense of the past, this has the kinds of twists and turns that would make Hitchcock proud. There’s one surprise after another and the developments are innovative in that way. 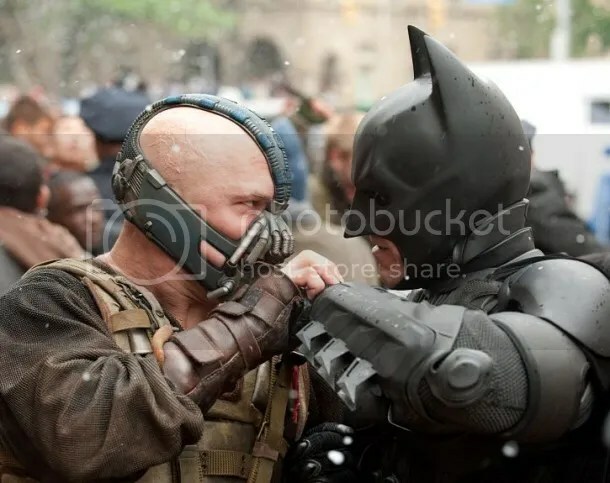 Directed by Christopher Nolan – Starring Christian Bale, Tom Hardy, Anne Hathaway, Michael Caine. Bruce Wayne’s personal conflict to reconcile his desire to help his beloved city vs. a longing to live a normal life is beautifully played up in this installment. His interactions with his trusted butler and confidant highlight this inner struggle. And struggle he does! Bruce Wayne rises not once, but TWICE in this chapter. The first time is his re-emerging from his self imposed exile. The second is almost Rocky-esque in the way it exaggerates our hero’s underdog status. It’s a bit manipulative sure, but it’s effective because it gets the viewer to cheer for someone who’s got nothing to lose and everything to gain. Beasts subverts the very conventions of film. The filmmakers have filtered the narrative through the stream of consciousness of a young girl. It’s fiercely innovative, highly distinctive and peculiarly told. This doesn’t rely of the traditional methods of storytelling. It’s filmed rather haphazardly and much of the discourse is indecipherable. But all of these techniques actually serve to heighten the drama of a bewitching little girl. There is an artistry in the middle section of the movie that finds a quiet beauty in simply existing. Its themes of spirituality and romanticism are explored with a maturity and depth that will entertain adults, but still delight children. The narrative explores faith as an existential meditation that transports the viewer to a story far beyond a mere shipwreck. I appreciate a more subversive edge in my so-called children’s entertainment. There’s often a hyperactive quality in cartoons that equates frantic with funny. I appreciated ParaNorman‘s subtler moments that cultivated a quieter tone. ParaNorman is part of a grand tradition of the macabre that is reminiscent of the work of Roald Dahl, Edward Gorey and Lemony Snicket. ParaNorman combines unconventional wit and spooky overtones with just enough warmth to shoehorn in a message when you aren’t looking. What impresses is that director Tom Hooper deftly handles the large ensemble of actors giving us an intimacy with each one that benefits their character and our sentimental attachment to each story. Les Misérables is paean to the beauty and romance of Victor Hugo’s well known French tale and indeed of grand filmmaking at its most epic. What’s separates Looper from your garden variety time travel hokum is its character based structure. The sincere connection we have to these characters compels us to watch. It’s a mesmerizing tale with a very satisfying conclusion. 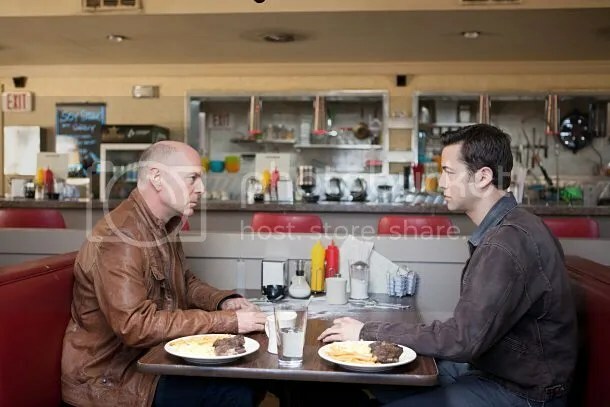 Looper blends an engaging sci-fi time traveling fable with the tenderness of an emotional drama. 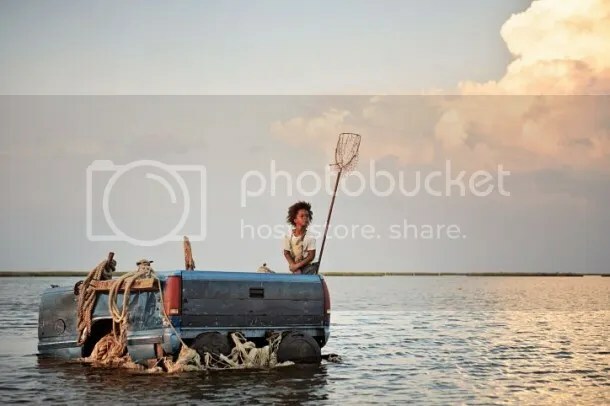 This is a buddy picture detailing how human beings want and need the same things regardless of ethnic or social class differences. Through discussions regarding music, recreational activities, even child rearing, we slowly get an impression of two men that have much more in comon than was originally believed. It’s the performances that elevate this beyond the traditional odd-couple plot. The honesty draws the viewer into their situation. There is a genuine chemistry at work here. Naturally the struggle to find bin Laden was a 10 year objective that encompasses hundreds of people. Maya is important because she gives the fight a face with which to identify. When she finally feels she has a solid lead on bin Laden’s actual location, she urges the military to strike with an elite force. But the argument of whether they can follow that revelation is a measured discussion rooted in the possible uncertainty that could have dire repercussions if they’re wrong. Her frustration is understandable and so we are drawn to her. I didn’t even realize I would put The Perks of Being a Wallflower at #1 until I decided to compile my list. I realized I kept recommending this film over and over. Perhaps part of the reason is because few people saw it. Even though I don’t really identify with these characters per se, they’re instantly relatable. It was nostalgic for me. The characters are universal and sympathetic. That’s what makes this so powerful and my #1. It’s such an emotional picture that captures a moment perfectly. Best Adapted Screenplay does seem to be the film’s best chance for a nomination. Although it’s got a lot of competition – Argo, Silver Linings Playbook and most importantly, Lincoln. The most recent trend I’ve noticed is “The Perks of Being a Wallflower” coming out of nowhere and moving at or toward the top of people’s lists. I’m very happy about this. Finally — Logan Lerman in a role that’s perfect for him. It’s difficult for me to imagine someone else playing Charlie. I think it’s a movie that should be remembered by those not yet conceived. I’ve very surprised “The Dark Knight Rises” is on here even though I have read your review and you were stoked about it. I have yet to give it a second look but the feeling of it being very long, in terms of plot as well as execution, makes me think twice. But I do approve that Joseph Gordon-Levitt appears twice on this list because I think he just might be an actor with longevity. …No, in fact, I’m convinced of it. Thank you for including “Headhunters”! It’s one of the few movies I really wanted to include on my list. It played with my expectations so many times that eventually I became reluctant to even guess at what was about to happen. Great pick. Out of the ten, I am most scared to watch “Les Miserables” for I am not a fan of musicals. I’ll wait for it on DVD. LOL at “Wanderlust” making your worst list. If I made my own, that movie along with “Rock of Ages” will absolutely be there. I didn’t realize The Perks of Being a Wallflower was getting much love. That’s encouraging. It’s barely mentioned when talking about the Oscars. 2012 was the Year of the LONG movie. Personally I think 2 hours is the perfect length. If you go over, you better have something to say. If you approximate 3 hours, it better be really damn good. TDKR bucked the tend. I was entranced throughout. I was so fitfully entertained I actually watched it twice! Brave is the likely winner but yes, I think ParaNorman has a chance of being nominated. I also think Frankenweenie, , Rise of the Guardians, and Wreck-It Ralph will be nominated for Best Animated Feature Film as well. Headhunters was such a surprise. I think back with fondness on the day I “discovered:” that film. C’mon if you’re not a fan of musicals, why would you force yourself to watch it. Obviously I loved it, but it’s almost 3 hours and when they aren’t singing, every line of dialogue is sung. My recommendation to you to SKIP IT and that’s coming from an avowed fan. I thought about Rock of Ages, but it just wasn’t bad enough to make the cut. Nice list. There’s still a few films I want to see before I make my own, including Django and Zero Dark Thirty, but many of them would make my own. I highly recommend seeing Amour, which was done by Michael Haneke. I managed to see it at a film festival and actually got to meet him. Regretfully Amour, Zero Dark Thirty, Rust And Bone and Promised Land didn’t have a wide release in 2012 so I had no way of seeing them – unless I wanted to buy a plane ticket and fly to L.A. Perhaps I’ll post a follow-up if necessary. Your top three would all make my top five. They may even end up being my top three. Wow. That’s a coincidence…and might I say, you have very good taste sir! Awesome list. We share some of the same selections, both in the best and worst lists. Some of the ones you chose I wouldn’t include in my list but you justify your choices very well. I still have a lot of ’12 releases left to see so I’ll be posting my lists a day or two before the Oscars. Love that Perks is at #1. A day or two before the Oscars?! That’s 2 months from now. Love to hear your preliminary list, even if it isn’t an official post on your blog. Yeah, it’s quite a long time after the actual end of the year, but movies take forever to open around here and even by that date I probably won’t have seen all the good ones. That’s mainly why I do it just before the Oscars, which are pretty much the end of the “movie year”. I pretty much adore everything on your Top 10 with the exception of Killer Joe. That was fine, but nothing to write home about. After Lucia has no release date set for the U.S. as of yet, but I’ll check it out when it’s released here. The film was selected as the Mexican entry for the Best Foreign Language Oscar at the 85th Academy Awards, but it did not make the final shortlist. Despite being one of the more acclaimed French films of the year, Rust and Bone will not compete for Foreign-Language Film, as France selected The Intouchables instead. Only 1 film may be submitted from a country. Ugh! These bizarre rules. I love the Intouchables, but I think they actually had a better shot winning the U.S. award with Rust and Bone. Now it looks as if Amour will just walk away with the prize. But why is Amour, a film in the French language starring French actors allowed you ask? Well Amour is Austria’s selection because director Haneke holds citizenship in Austria. He holds citizenship in Germany too by the way. Having half of the same entries 🙂 & others were not seen ! Thanks. I checked your site because I figured with so many similarities, I should be following you. Now if I only could read your language! Is that Gujarati? Thanks for the comment! 10) I feel like the only one in the world who had issues with this movie. 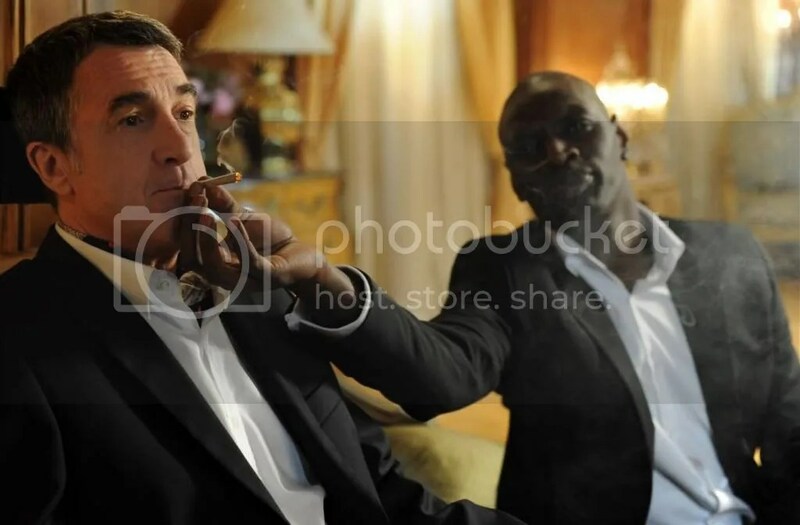 Those issues really took hold during the end credits when they revealed that the crippled gentleman in reality looked a lot like Francois Cluzet but that Omar Sy was much lighter skinned in reality – I felt like they had to make him a dark skinned African immigrant to further underline their improbable connection; it felt manipulative during the film and the revelation over the credits confirmed it for me – nitpicky perhaps? The fact that we actually both picked the very same movie as our #1 choice is some sort of cosmic synergy that may never happen again. Let’s savor the moment. I’m not hung up on placement. Whether it made the Top 10 or Top 20 isn’t important when you see over 100 films at the theater. If it appears somewhere on your list and I liked it too, then it counts. You’re right about Detachment. I was completely unaware of this film. Thanks to you I will be watching it. You’re the reason I saw Passing Strange by Spike Lee. I’m happily surprised to see Les Misérables make your Top 10. The only understandable arguments against the film I’ve heard is that it’s too long and the singing should have been pre-recorded. Very minor in a near-perfect adaptation of a classic musical. Perhaps knowing too much about a film, can hurt your enjoyment. Just relax and allow yourself to be entertained. The only thing I can offer is this: I can go to Mc Donald’s and have a perfectly satisfying meal. I can also go to some 5 star restaurant and get truly lousy service. The latter is much much worse. I stand by my choices as those are the worst for he year. Great list! Yes – someone else who has The Perks Of Being A Wallflower at number one! 🙂 It was my favorite too (not counting The Artist which I saw in January 2012). You’re also the only person I’ve seen with Untouchable in their list – wonderful movie. Ah The Artist was my favorite of 2011. You are clearly a highly sophisticated cinéaste. Must follow http://table9mutant.wordpress.com/ immediately. Thanks!! 🙂 But I do like a lot of bad films, too… 😉 Depends on my mood! Thanks. I’d really like to see little Quvenzhané Wallis at least get a nomination for Best Actress. Back in June when this was released, everyone was picking her to win, now it looks as though she’s been forgotten. That would be a shame, because she’s incredible. #1 – Still need to see it. #6 – Still have to see it. #9 – An honorable mention. #10 – Still have to see it. Glad to say I’ve seen six of your top ten! Wish I’d seen all of ’em though haha! Anna Karenina – on my list. Argo – preordered the Blu-Ray a few days ago. The Avengers – thought it was a mixed bag. Flight – on my list. Prometheus – My #3; just rewatched it the other day, actually, and suddenly realized it was a quasi-Christmas/New Year movie! Robot & Frank – on my list. Ted – I don’t think I’ll have the chance to see this anytime soon haha…. BDP2 – yeah, I’ll see it just to say I saw it. Cloud Atlas – I’ll probably see it just to get my opinion on it. As I recall you’ve seen a lot more of my Top 10 this year than last, so that’s awesome. Nice picks! I guess I need to see Headhunters. This is the second list I’ve seen it on today! Awesome to see Looper and TDKR on your list, they are among my top 3 from 2012. I’m far from being a fan of Moonrise Kingdom, though. 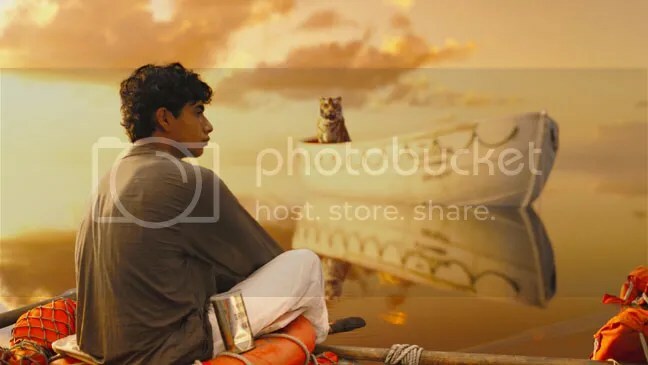 I think Wes Anderson is an acquired taste. His slightly askew version of Norman Rockwell charms me to no end. Great list. Still yet to see Moonrise, Paranorman and Les Mis, but love that you’ve got The Intouchables in there. Easily my favourite comedy of the year. You know I never thought of it as a comedy fundamentally, but you’re right – it is funny. It also has an emotional dimension that gives it the impressive depth of a drama as well. Seems like Headhunters is getting more love than I expected. It didn’t do anything at the box office. Although the story just may reach a wider audience. There were rumors last summer that a ‘Headhunters’ remake could star Mark Wahlberg. Impressive list ! It’s refreshing to see that “ParaNorman” is getting some love. Hands down, the best animated film of 2012 ! I totally agree. IT was this year’s Rango for me. Usually I’d be singing the praises of the latest Pixar release, but Brave was underwhelming to say the least. Great list Mark with some surprises in there. I can mostly agree with your choices although my own top 10 is slightly different. 🙂 Love your top 3! I saw the Intouchables was your #1. That’s pretty cool. I did! I think it’s safe to say you love action films and superhero films in particular. Nice to see TDKR, The Avengers, Skyfall, and Moonrise Kingsom made both our lists. You’d think so, but I know people who were thoroughly disappointed with TDKR. Go figure! nice top ten list Mark and a good variety as well. I have yet to watch half of whats on your list. Moonrise Kingdom at #2 is well placed. HeadHunters over DKR is understandable, but i would have still ranked DKR higher for being a strong finish to a great trilogy, in a similar way that Return of the Jedi is a great conclusion to Star wars. I have also yet to see Argo and Flight, two films that i thought would warrant a spot on your top ten. The former is based on a fascinating true story and is expertly directed. The latter has Denzel giving a top performance in a Robert Zemeckis movie. i am also eager to see Perks, Anna Karenina, Silver Linings, Life of Pi, and The impossible. what a year. I wouldn’t get too hung up on which movie outranks another. Argo and Flight are great films and could’ve made my Top 10. Honestly anything in my 11-20 list could’ve made the Top 10 and a lot of what’s in my Top 10 got equivalent scores. The placement of some is arbitrary. It just goes to show what a truly great movie year 2012 was. Unfortunately there are a fair number of these I didn’t see, although it saddens me to see that Wreck-it Ralph didn’t make it in any of the categories. Why should anyone’s opinion make you sad? Just because Wreck-It Ralph didn’t make the list, doesn’t mean I didn’t enjoy it. It only means there were other films I enjoyed more. I second the motion for a podcast. There’s overlap, but we definitely have a Siskel & Ebert thing goin on with certain movies. I know how to use Skype but I have never been responsible for recording or editing the discussion. It just didn’t feel right giving those 2 films short shrift when they rightfully belonged on the 2012 list. Great list; still have to see Headhunters. I’ve heard countless positive things about it, I’m really looking forward to it. 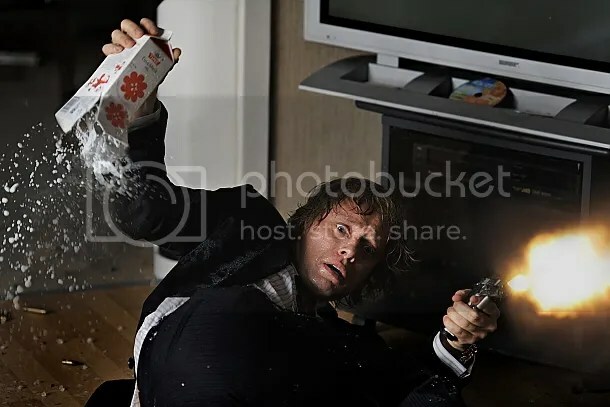 Cool I’ll check your list out. It’s funny because when I was singing the praises of Headhunters last year, I felt like I was the only one. Now the end of the year Top 10s are coming out and I have seen it on several lists. It feels like such a validation. I thought Headhunters was unexpected when I originally published my list too. Then I started noticing it on many year end Top 10s. It seems to have a small but fervent following. Wow great list Mark! I guess I did come across this list when you first posted, but never commented. I love how you summed up exactly how I felt/experienced TPOBAW; just a stunningly accurate portrayal of the pains of high school. While the rest of your list is also great, I’m really also wanting to see The Intouchables. That looks like an incredibly uplifting piece. I never thought The Intouchables found the audience it deserved. It’s such a warm, heartwarming film. It should’ve been a bigger hit. Few put “Perks” as their #1 movie. Great choice. Now I’m intrigued by Kahaani.